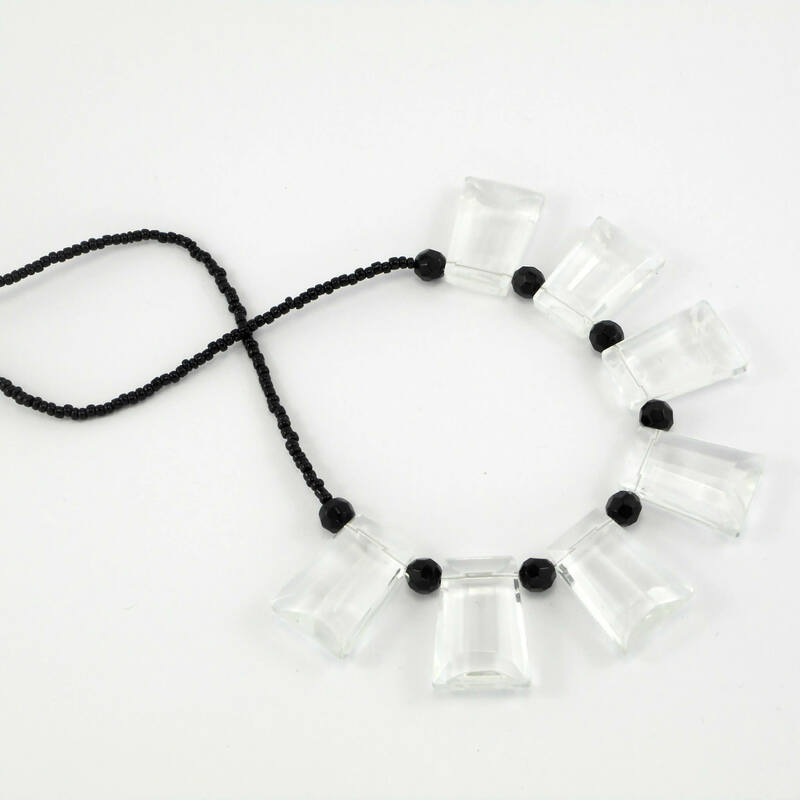 Clear trapezoid glass beads are separated by black faceted glass beads and fan around this elegant necklace. Clear & Black Trapezoid Glass Necklace. 7 x faceted trapezoid shaped 14-17×22 clear glass beads are separated by 6mm opaque black faceted glass to form the central fan of this necklace. Black opaque seedbeads attach the central design to the silver plated screw clasp.